Due to its small turning radius though, it can also be used indoors in, for example, public buildings, shopping malls and rehabilitation centres. The mounting and removing of the Firefly is done quickly and easily. 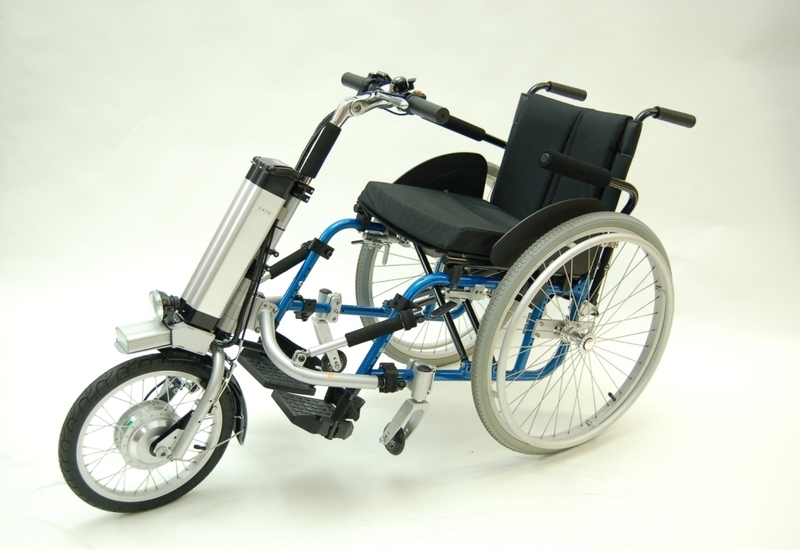 The Firefly turns your manual wheelchair into an electric wheelchair. The Firefly fits on most manual wheelchairs. The F (= Fast) version of the Firefly has a max speed of 18km/h or 12 km/h. The S (= Slow) version has a max speed of 15km/h or 8 km/h and a tuning screw to determine the max. speed of your own choice.